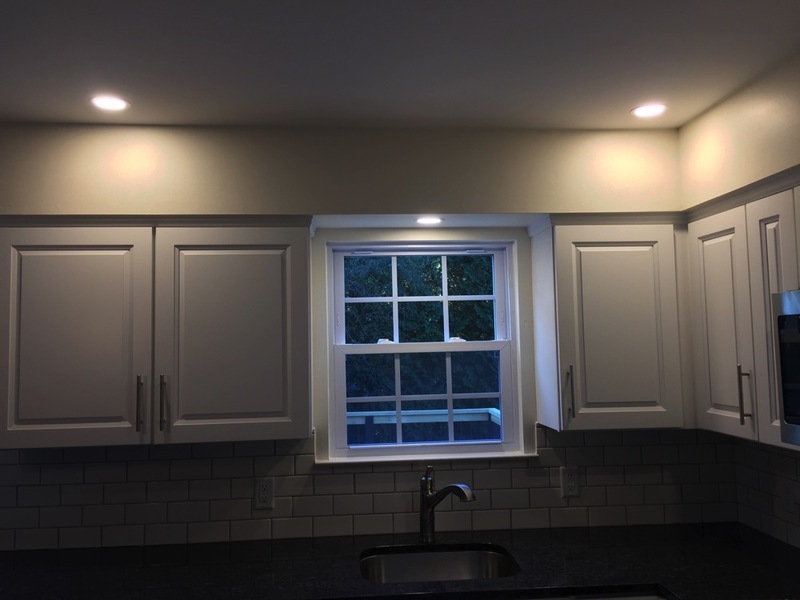 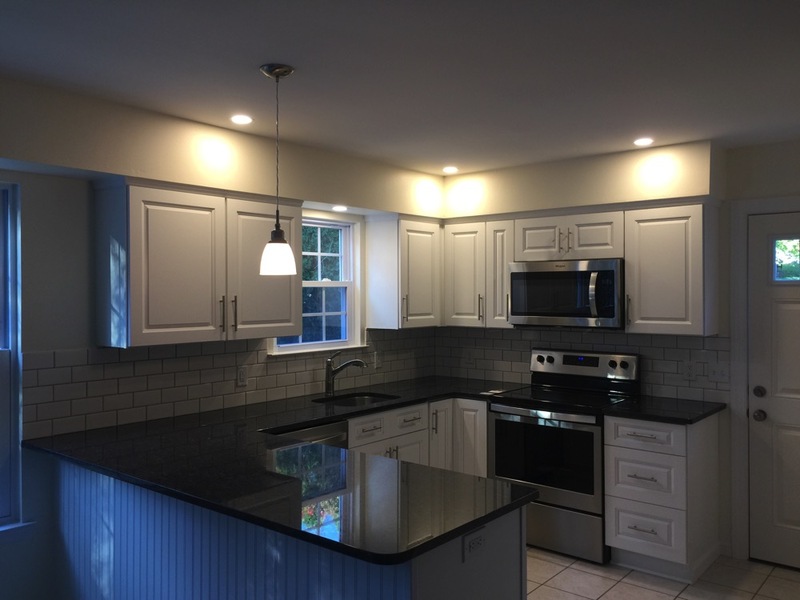 New kitchen lights installed in this Morgantown, PA area home. 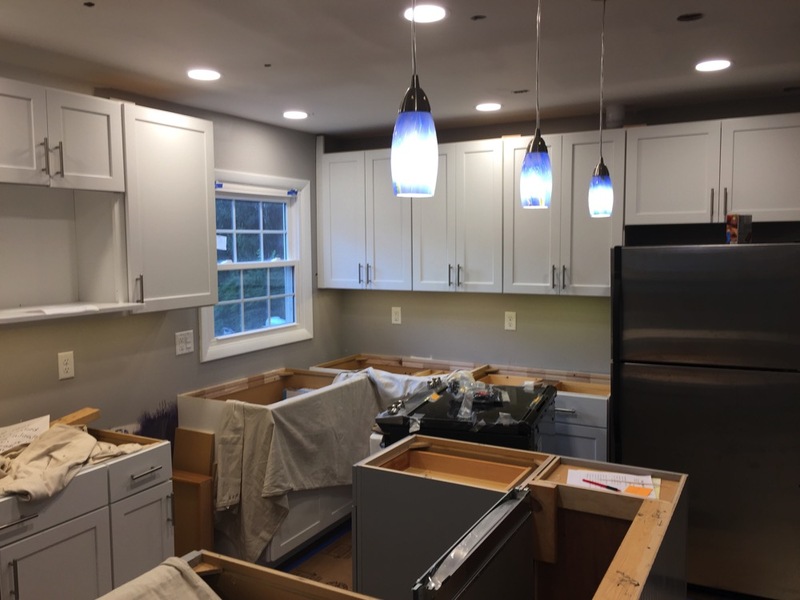 Includes recessed lights, island receptacles, and hanging recessed lights in this new modern kitchen. 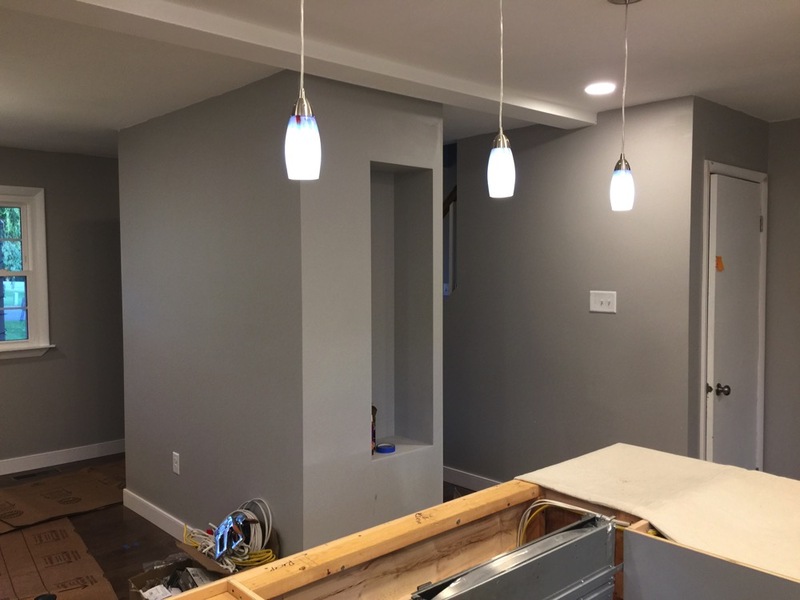 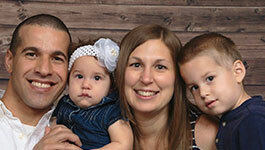 You will want to work with a electrical contractor that is local to your area. 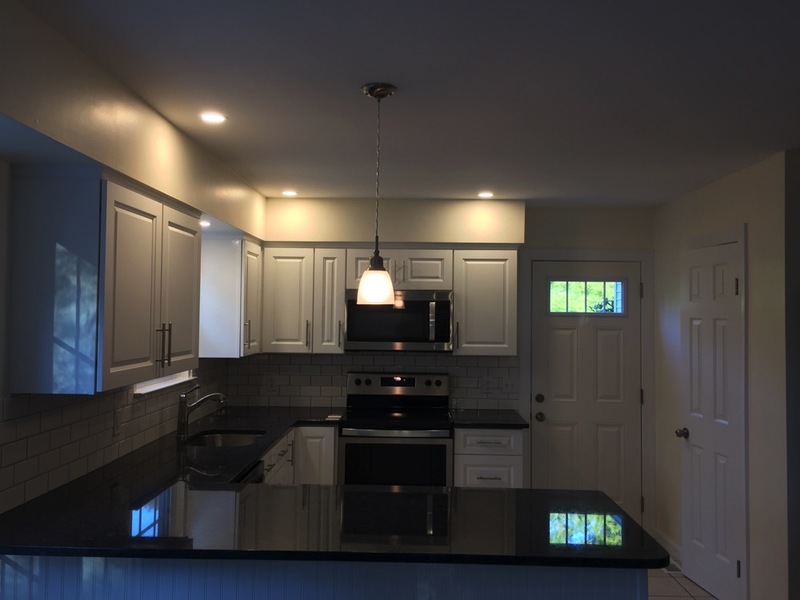 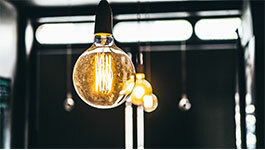 A and M Electric LLC is centrally located between Lancaster and Reading, PA, so covering those cities plus the smaller towns like Morgantown in-between is no problem at all. Contact us to discuss your kitchen electrical needs!